18.01mm x 18.01mm / 0.709in. x 0.709in. 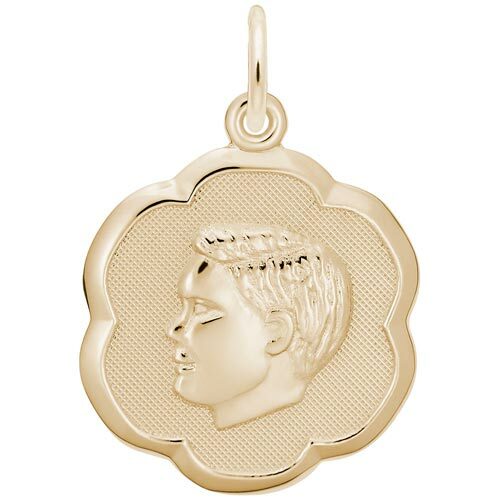 Boy's Head Scalloped Disc Charm by Rembrandt Charms. The width is 3/4 of an inch. Give mom or grandma the gift of keeping you with them and let them show off this Boy's Head Scalloped Disc Charm by engraving on the back. The matching girl’s silhouette charm is style 0944.